If you are planning on brand marketing to college students, who are also a part of the millennial generation, you don’t want your strategy to be just another flyer or advertisement emblazoned with the words “back-to-school sale.” You’re dealing with a lot of competition, so you want your ads to stand out in the crowd. Strategies such as setting up a table, passing out flyers and advertising on Facebook all scream “one big ad.” These strategies are unlikely to achieve their desired effect, as most millennials think mainstream advertising is intrusive and inauthentic. According to HubSpot, a survey found that over 80 percent of millennials don’t trust traditional advertising. “Millennials are looking for information before they make purchases, but they’re looking for it from their trusted sources, and their trusted sources are not the manufacturers or providers of products,” said Nora Ganim Barnes, chancellor professor of marketing and director of the Center for Marketing Research at the University of Massachusetts Dartmouth, in an interview with eMarketer. To create a successful marketing campaign, it’s necessary to first identify your target market. In targeting, the biggest mistake possible is trying to reach everybody, and ending up appealing to no one. Narrow it down to the ideal consumer to effectively focus and strengthen your campaign. In back to school marketing, ask yourself the question: who is the ideal student for this product/service? One of our clients is a calculator company, and wants to sell more calculators. We asked ourselves, “Who is the ideal student to market to when selling a calculator?” The answer came to us quickly: finance and engineering students typically use their calculators frequently. Rather than wasting our efforts marketing to all students, who could be English or history majors with little need for a calculator, we would focus our efforts on marketing to engineering and finance students. The next step in creating a successful marketing campaign is to consider the timeframe in which purchases are expected to be the greatest. Focus your efforts on marketing within that time period to increase your return on investment. In the case of the calculator marketing campaign, we decided to focus our efforts during the end-of-summer period. For students shopping for school supplies, this is when they’re thinking about what they need for their classes. By the fall, it’s already too late: students have typically already bought a calculator at this point and will use it well throughout their college years. What Is Your Ideal Message? Once you have identified your ideal student and the ideal timeframe for marketing the product to them, you need to get their attention. But what are you going to say? Given how busy everyone is, you need something that will both grab their attention and keep their interest. Think of it as your elevator pitch: you have only a few seconds to give your sales spiel and make them interested. This is where the ideal message comes in. You need to brainstorm how you want to convey the message of your product in the ideal way to reach your target customers. What could we say to a student shopping for a calculator to pique their interest? As we brainstormed, we tossed out the idea that a calculator is the only approved cheating tool on a test. This was definitely attention-grabbing, but we didn’t want to associate the product with the word “cheating.” We rebranded the calculator as a “Personal Exam Assistant.” Succinct and catchy, we knew that we had found our ideal message to apply to marketing the calculator. What Is Your Ideal Concept? “Ideal Mixology,” our strategy of mixing together these answers, keeps you on track toward a concept that resonates with your goals. When you put all of the answers to the above questions together, you get your ideal concept. By marketing to the ideal student, during the ideal timeframe, and with the ideal message, the best concept for your marketing campaign can be identified. The ideal concept that we came up with for the calculator company involved marketing to college students as they toured the engineering and business (finance) buildings during their late summer orientation sessions. We handed out relevant information on what type of “Personal Exam Assistant” they would need for their upcoming classes. By following this exact formula at Campus Commandos, we achieved a 60 percent sales growth for our client on their engineering calculator, and a 7 percent sales growth on their finance calculator from website sales. 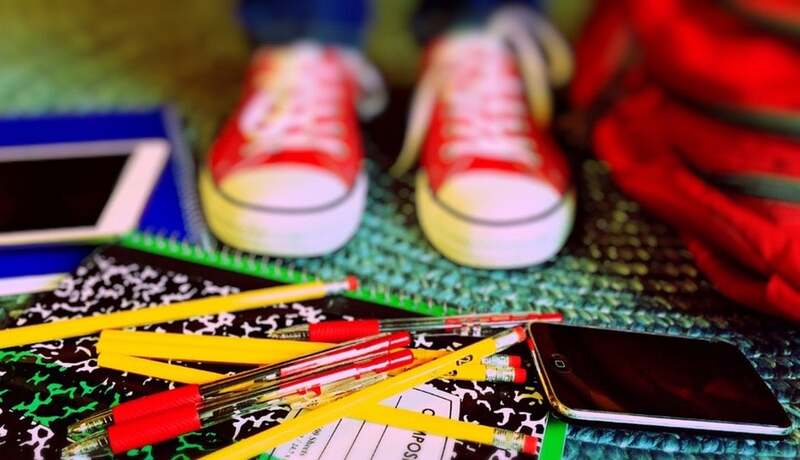 Say goodbye to generic back-to-school marketing campaigns and start using winning components to actualize an ideal concept that will capture the attention of your target market. Adam Grant likes to talk, live and breath college marketing - specifically campus rep programs. He is the co-founder of Campus Commandos a Detroit based startup that participated in the Tech Cocktail Detroit mixer event in 2010.